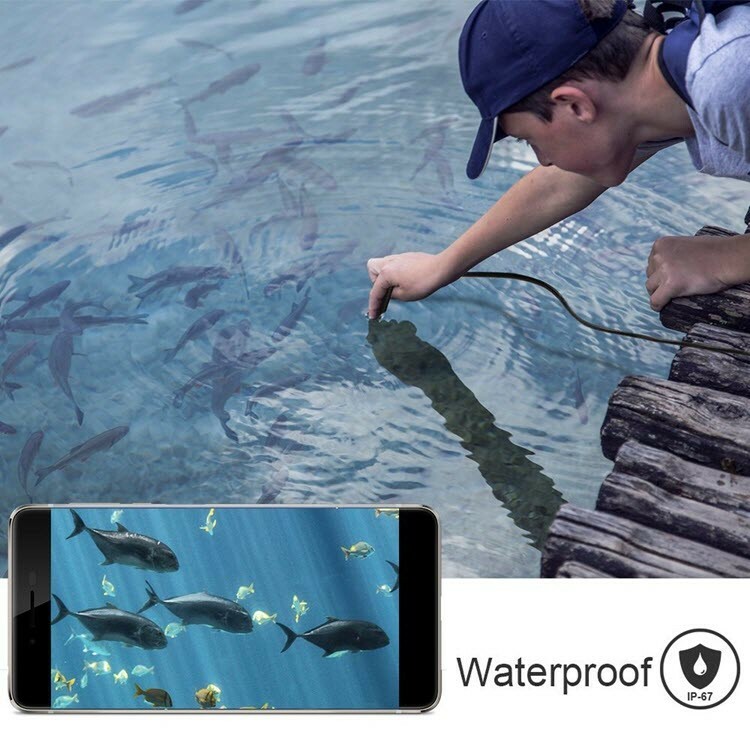 SUPERIOR WATERPROOF (IP67): 0.33ft Waterproof depth. 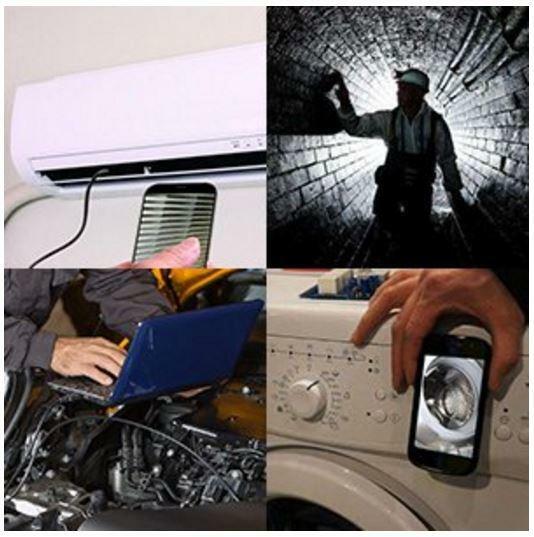 Whatever water pipe or sewer, you will never worry about most use environment. 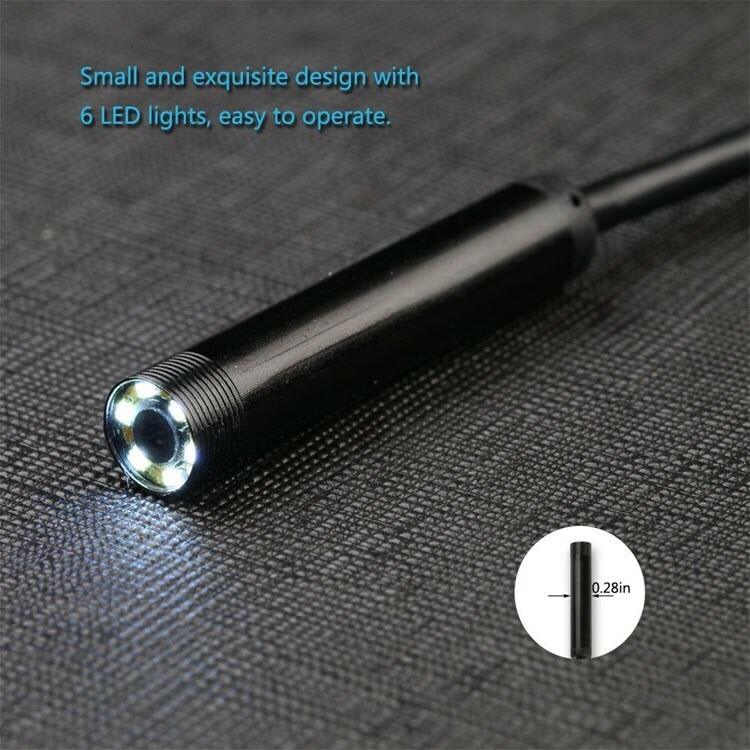 HIGH QUALITY LIGHT: Supper long snake wire(16.4ft) with 6LED lights can light up most of unknown areas, extend your hands and eyes. 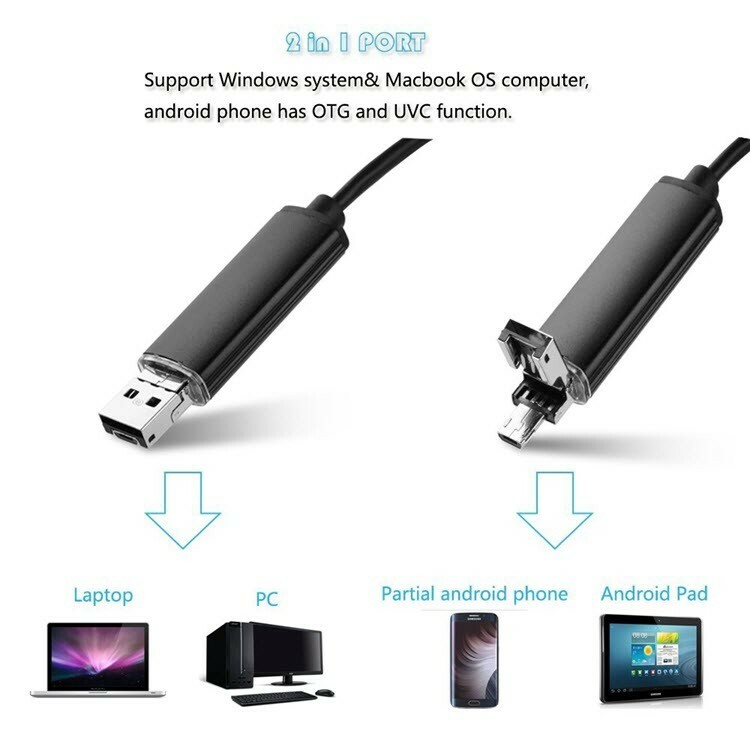 Widely Compatibility: Support all IOS smartphone and Android, Windows series. 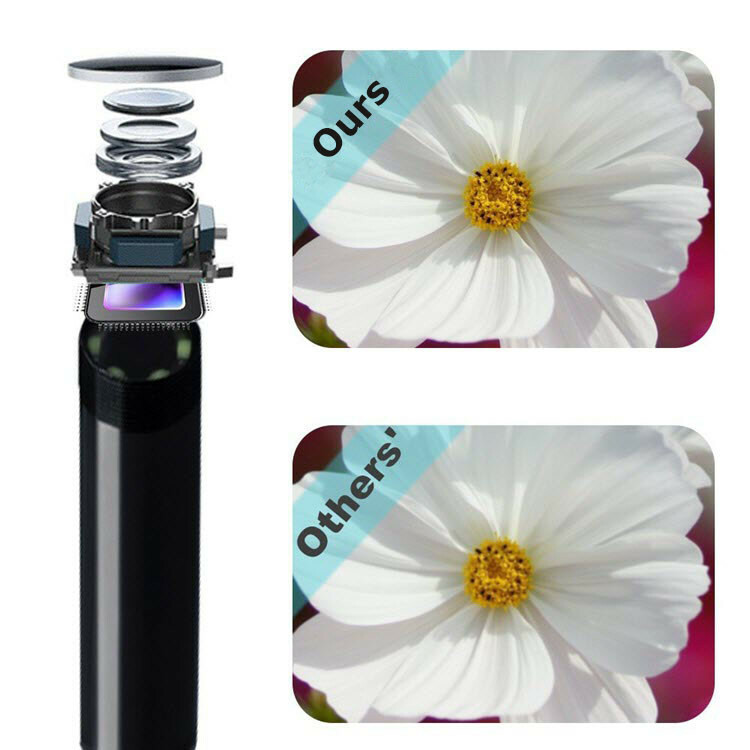 MINI CAMERA: Smaller lens diameter(0.276in), less use restrictions. 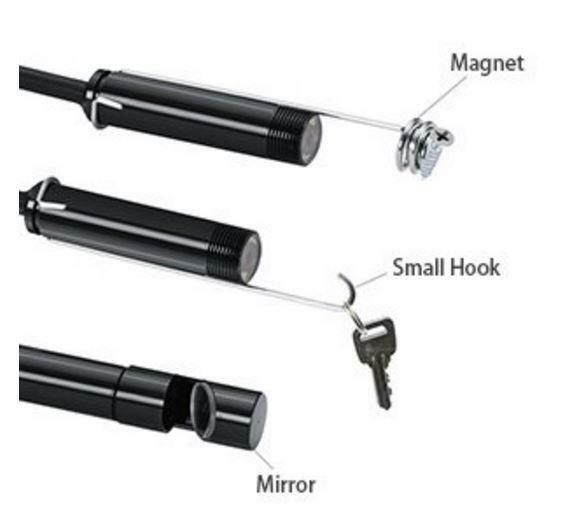 Small and exquisite design with controllable light, easy to operate. 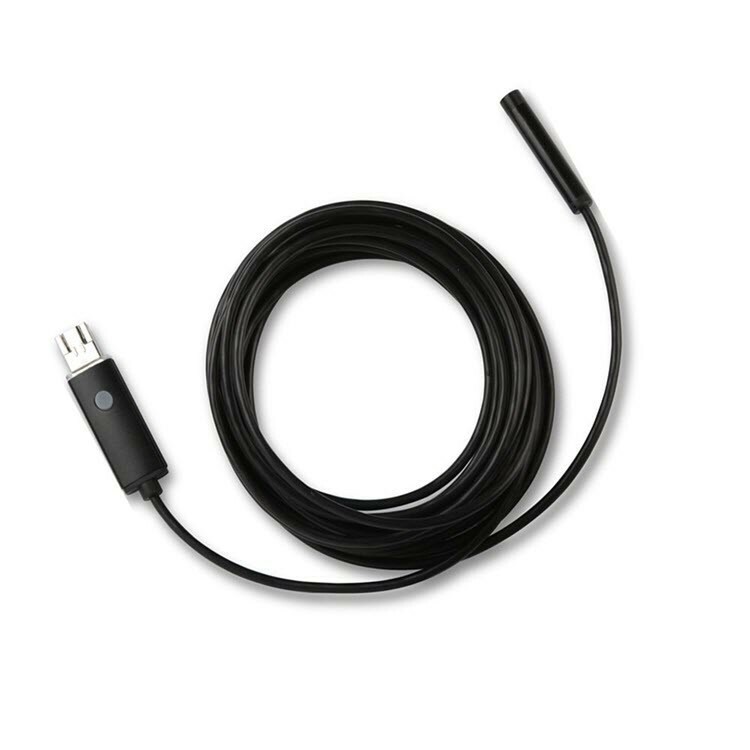 USB Endoscope Camera with High-quality and widely Compatibility, it Supports Android /PC /Windows System. 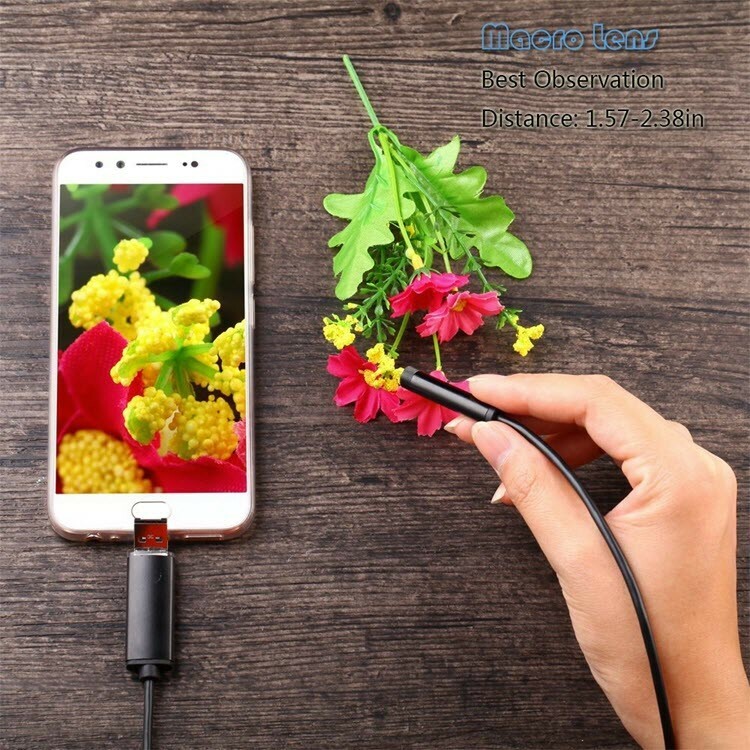 Comes with long Cable, 6 LED lights, IP67 waterproof, 2.0 Megapixels CMOS HD camera, it’s easy to go in any holes to make a video recording or picture capturing, which is a best tool for inspecting hard-to-reach or hard-to-see places. 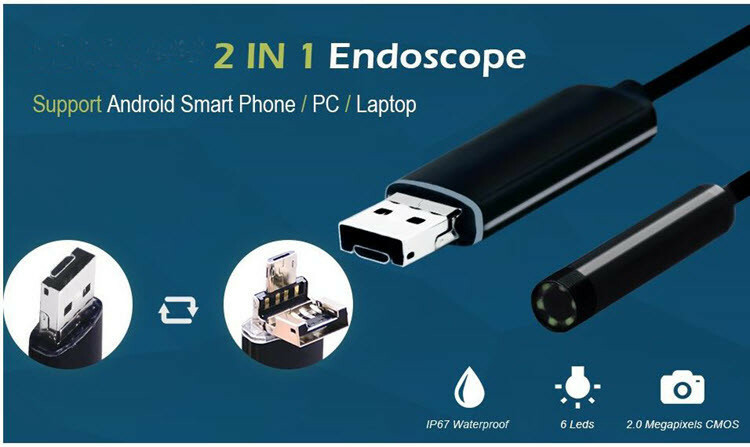 USB Endoscope Supports Windows XP/7/8/10 or Android smartphone, and please Make Sure that your Smartphone with OTG and UVC function. 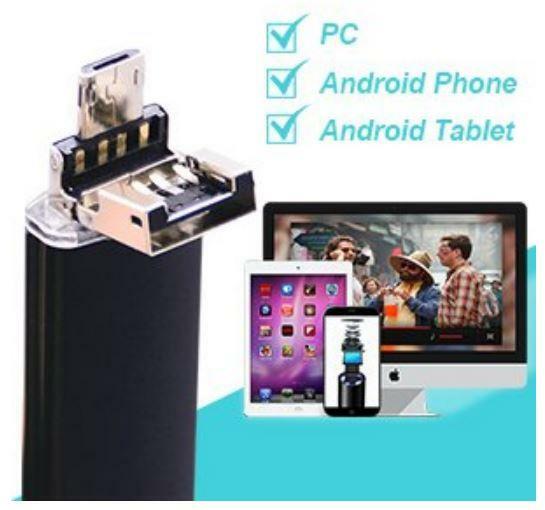 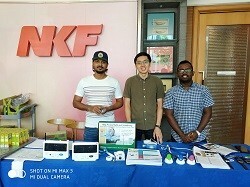 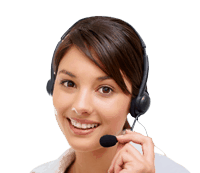 Does not support iPhone IOS System. 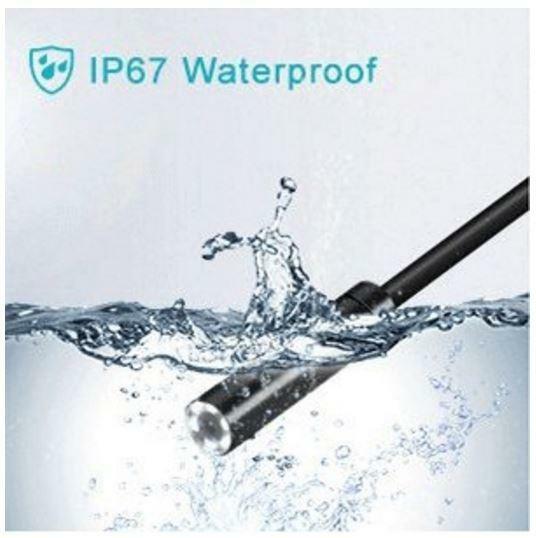 This USB Endoscope Camera probe with IP67 Waterproof, it can be used to inspect Sewer, Gaps and Wet Holes, Underwater etc. 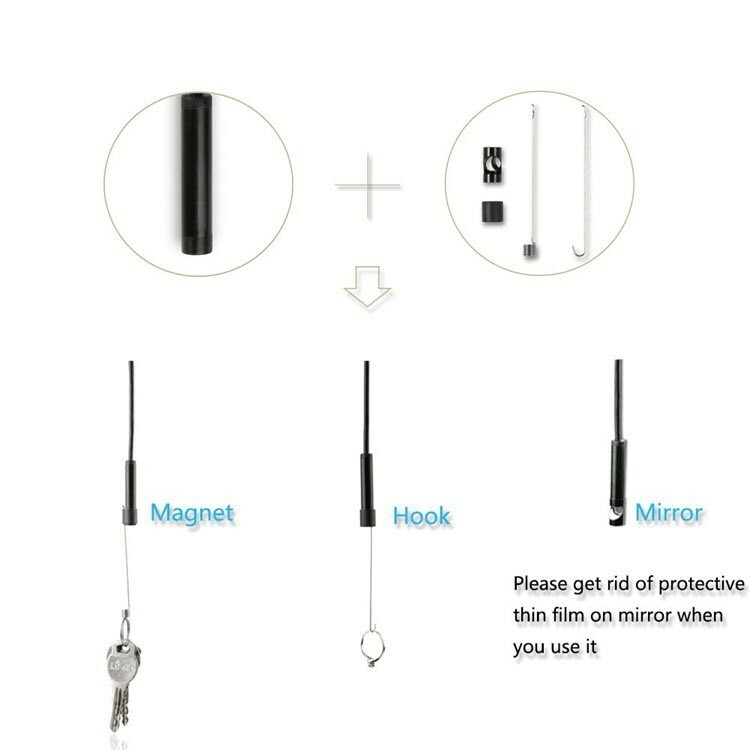 The USB Endoscope Camera Comes with Mirror, Hook and Magnet, it’s so easy to inspect something that you are hard-to-reach or hard-to-see.